It's merely a comparison, it is more of an analytical understanding of how Virat's graph is growing currently and how will it end! When a player is only concentrating on his game, regardless of competition then is quite easy to draw the conjecture that the particular player has a long way to go in the cricketing career. Virat has shown immense courage on the field, he has delivered splendid innings to inspire the team to victory. Emerging as a champion, he always shut the critics and played brilliantly to make the nation proud. The way he trains and dominates the cricket world is a clear indication that he will play for another 8-10 years. His recent performance in the last series against South Africa was outstanding. Kohli created another world record in that series by becoming the first batsman ever to score 500 runs in a bilateral ODI series and in the same series he slammed his 35th ODI century. His batting style replicates the persona of cricket's god, Sachin Tendulkar. Sachin retired at an age of 37 and he has a world record of 100 centuries. Sachin, the God of cricket, has made the nation proud by playing a brilliant a cricket throughout his life. He broke many records and made some but records are meant to be broken. Kohli started his Test career in the year 2011 and has scored 5554 runs at an average of 53.40 till now. He took 66 matches to slam 21 centuries. Looking at his massive fitness, it is expected that he will play for another 10 years. Approximately, around 10 matches are scheduled per year. Hence, if he continues to play with the same average then he will score 35 more centuries in the upcoming 10 years. In six years, he scored 21 centuries, which means he is scoring 3.5 centuries per year. Then in the next 10 years, he will approximately score 35 centuries more. The same case in ODI matches, till now he has completed 200 ODI innings with an aggregate of 9588 runs. He scored 35 centuries in total with a scoring rate of 92.15, playing at number 3 his career average is 58.11. He started his ODI career in 2008 and has played 208 matches since then. 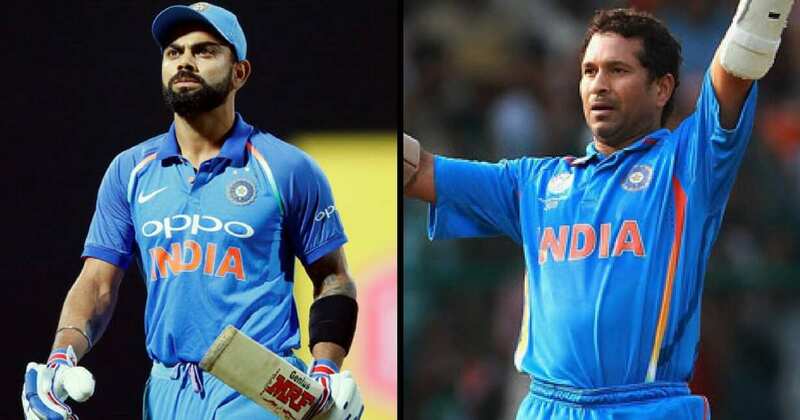 If 208 matches are scheduled over the span of 9 years then, approximately, on an average, team India plays 23 matches per year and around 230 matches will be played in another 10 years. So if he continues the same form then, he is likely to score 38 more centuries. It means, appx. 51 tons in Test matches and 73 tons in ODIs. If we talk about Sachin Tendulkar, then currently he owns the world record of 100 centuries, 51 in Test and 49 in ODIs. 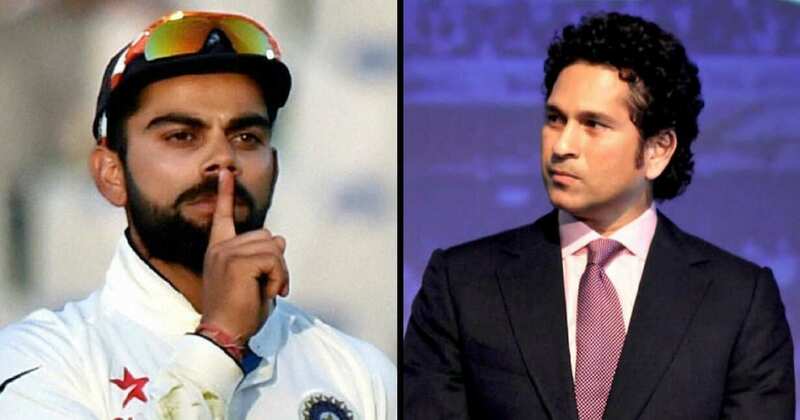 He had another record of losing the wicket in the 90s, nervous nineties had a very strong alliance with the master blaster, otherwise, the number of centuries would have been more. He also faced several injuries throughout his career especially the Tennis elbow. Sachin started his career when there were a lot of things going on in Indian cricket such as political unrest and conflicts among the team members. Sachin acted as a catalyst to revive Indian cricket and brought crowds to stadiums, put smiles to faces and gathered accolades across the globe. He brought emotional quotient into the game. A humble gentleman who never responded to sledging and concentrated only on playing makes him a legend. Here is what Gavaskar said! 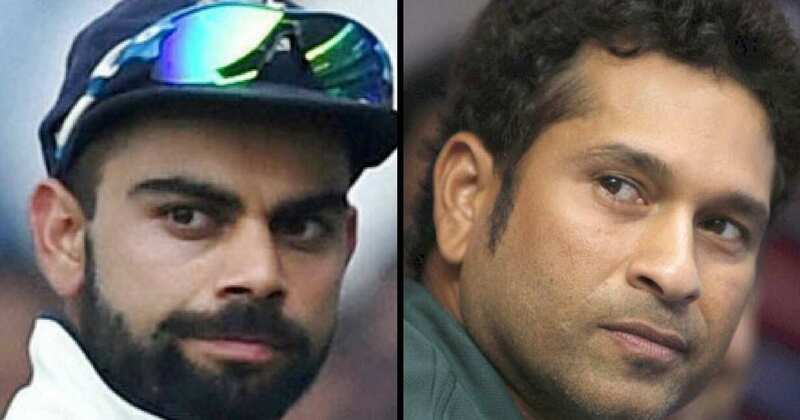 It is very difficult to compare these two personalities, but it's merely a comparison, it is more of an analytical understanding of how Virat's graph is growing and how will it end! As far as records are concerned, Virat will definitely break all the existing records and will create new ones. Once Gavaskar said, “Records are meant to be broken. 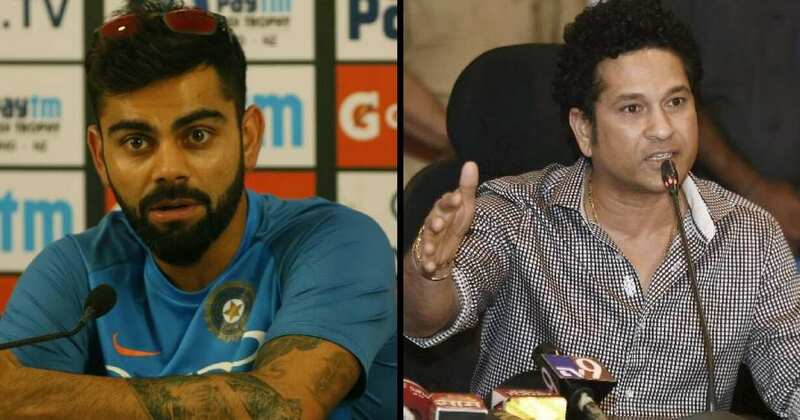 While we know that some of Tendulkar's records are well nigh impossible to be able to get like 200 Test matches, nor anybody can reach 51 Test hundreds,” Gavaskar said. 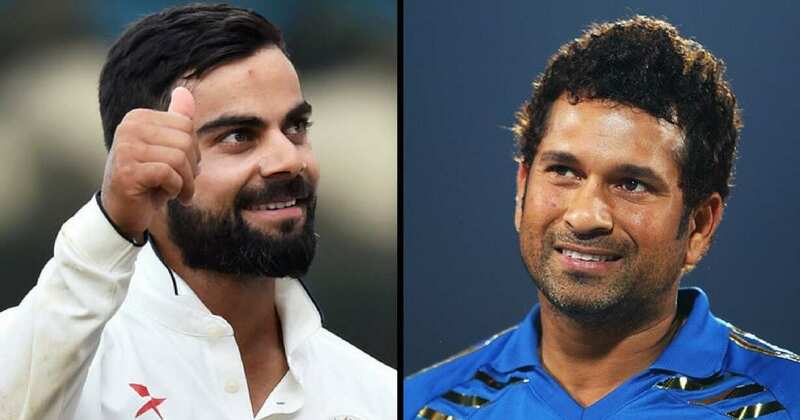 "But the manner in which Virat is batting, the record for (Tendulkar's) 49 hundreds looks possible. Now Virat needs 32 more hundreds to go and the number of ODIs Indians play he can do it. 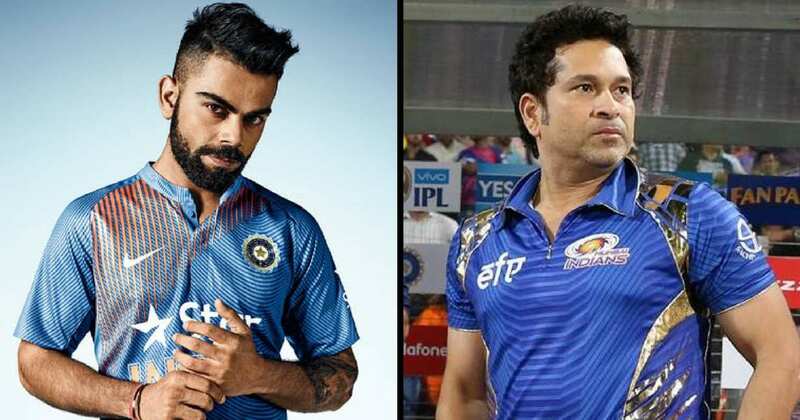 This cricketing season itself, Virat can get to 20 or 22 hundreds."